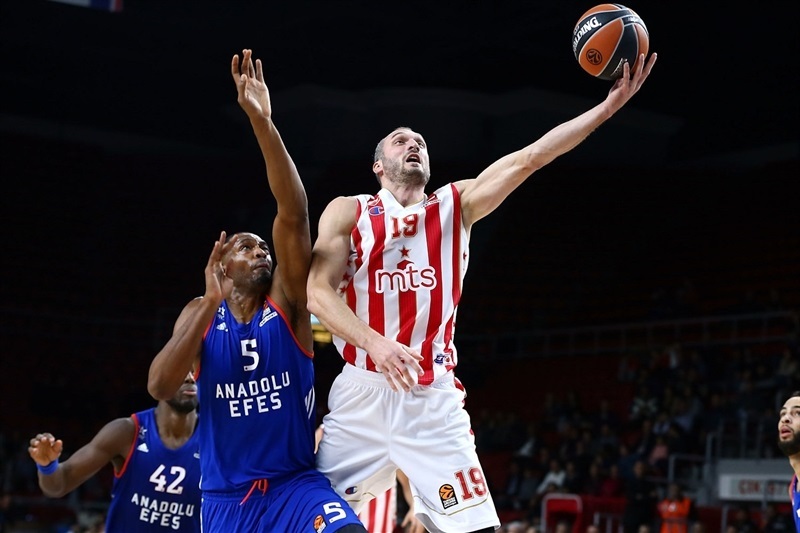 Anadolu Efes Istanbul grabbed its third consecutive home win in the Turkish Airlines EuroLeague regular season by downing Crvena Zvezda mts Belgrade 100-79 on Thursday. Both teams now have 4-5 records in the standings. Derrick Brown led the winners with 20 points, 9 rebounds and 3 blocks in compiling a performance index rating of 38. Bryce Cotton added 19 points, Thomas Heurtel scored 17 and dished 7 assists, while Cedi Osman and Tyler Honeycutt each netted 12 points for Efes. Honeycutt added 13 rebounds for a double-double. Charles Jenkins led Zvezda with a career-high 20 points. 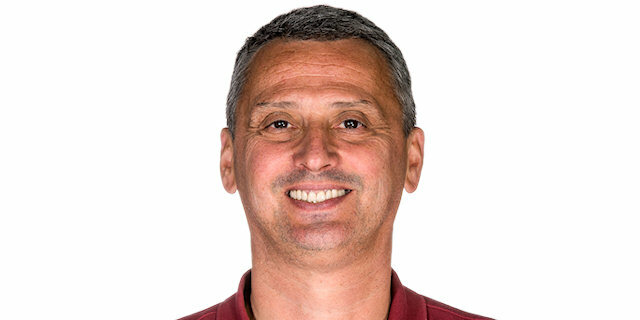 Marko Guduric added 14 for the guests. 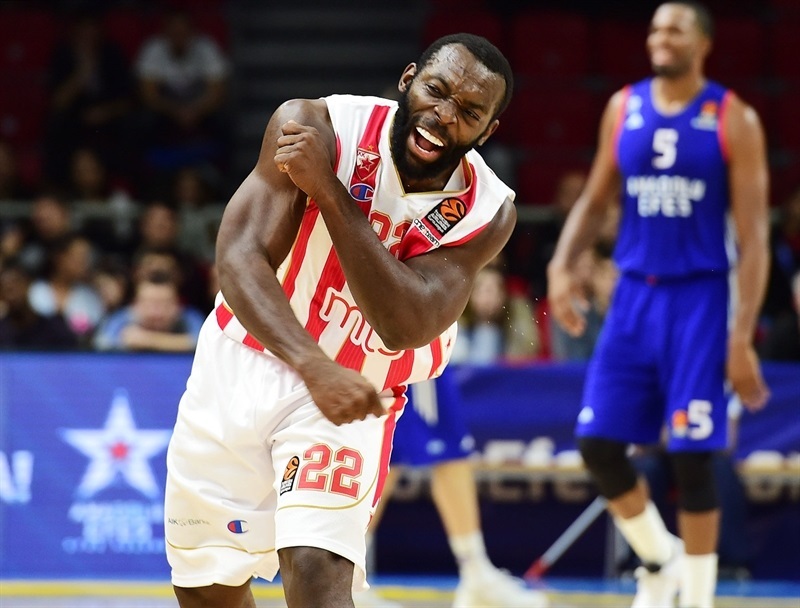 Zvezda hit 12-of-16 two-point shots in the first half (75%), but was outrebounded 19-8 before the break, which allowed Efes to take a 47-40 lead. Efes ended up having a better percentage from three-point range (48%, 12 of 25) than inside the arc (47.7%, 21 of 44) and committed 17 turnovers to Zvezda's 9, but dominated elsewhere, outrebounding the opponents 43-22, including 15 offensive boards, and finished the game with 24 assists and 8 blocks to tie the EuroLeague's season high; Unics also had 8 blocks against Zvezda on November 10. A dunk by Barisa Simanic ignited an early 0-6 run, which Nemanja Dangubic capped with a jumper for a 4-10 Zvezda lead. Efes found a go-to guy in Cotton, who had 5 points in a 7-0 run that gave the hosts their first lead, 11-10. 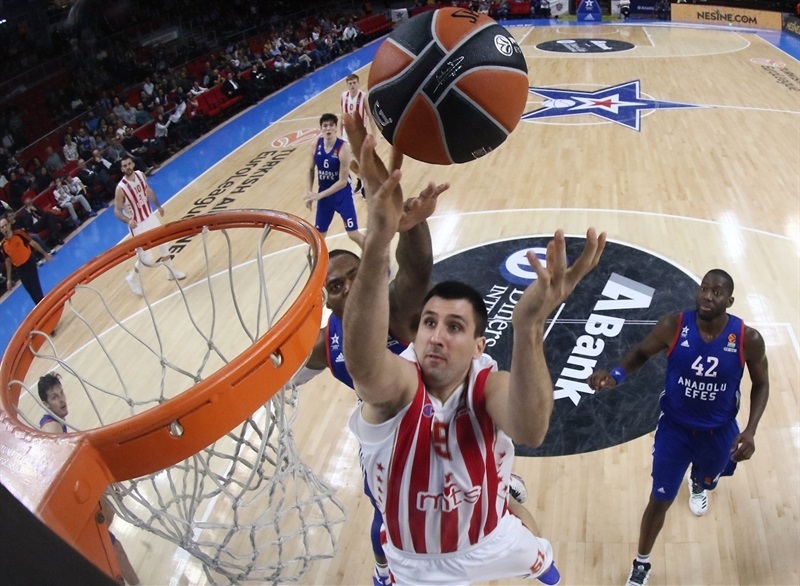 Milko Bjelica followed a three-pointer with a layup and a fast break basket by Marko Simonovic restored a 13-17 Zvezda lead. 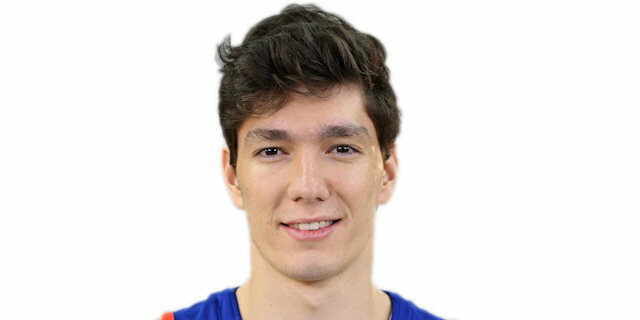 Heurtel stepped up for Efes and a buzzer-beating basket by Honeycutt tied the game at 21-21 after 10 minutes. Cotton kept pushing Efes with a backdoor layup and Heurtel sank consecutive jumpers, but an outstanding Guduric and a three-point play by Jenkins put the guests back in charge, 28-29. Brown had 4 points, while Osman and Honeycutt each hit a triple in a 12-0 run that made it a double-digit game, 41-31. 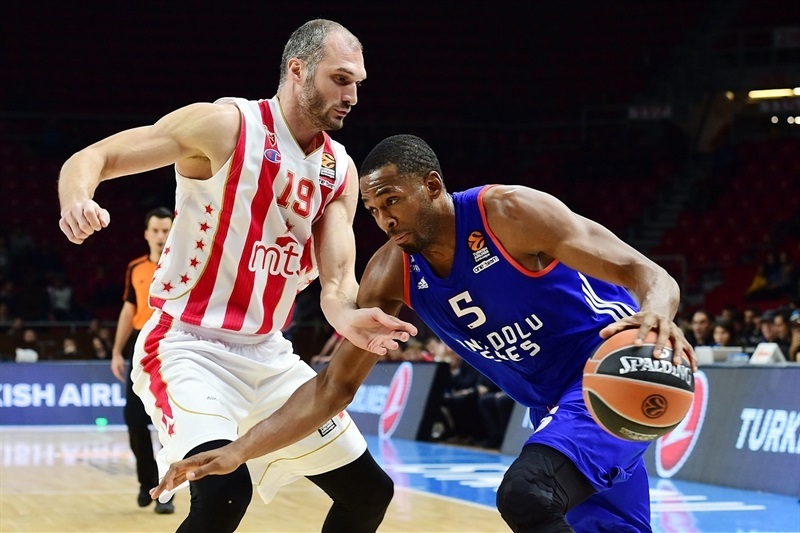 Guduric rescued Zvezda with 5 unanswered points, but free throws by Brown and DeShaun Thomas kept Efes ahead, 47-40, at halftime. 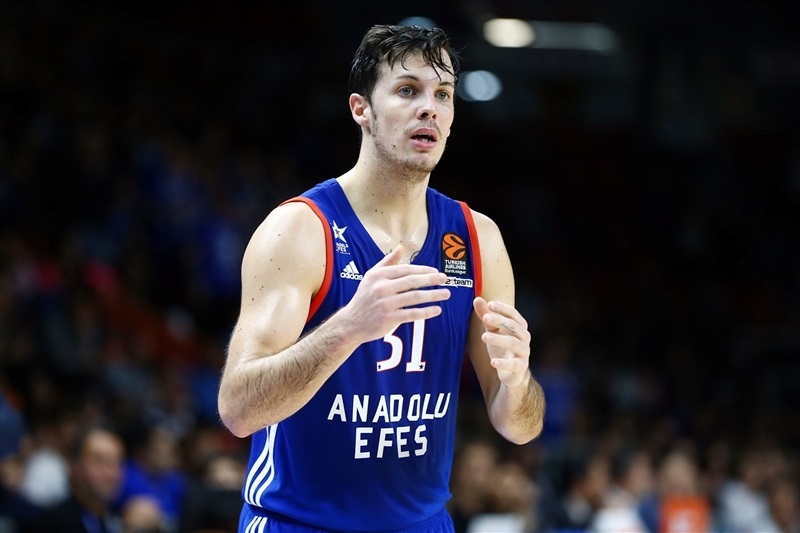 A huge dunk-and-one by Brown and a corner triple Cotton restored a 53-42 Efes lead soon after the break. Three-pointers by Jayson Granger and Cotton boosted the hosts' margin to 61-48. Stefan Jovic tried to change things for Zvezda and Jenkins hit back-to-back three-pointers to bring the guests as close as 64-60. 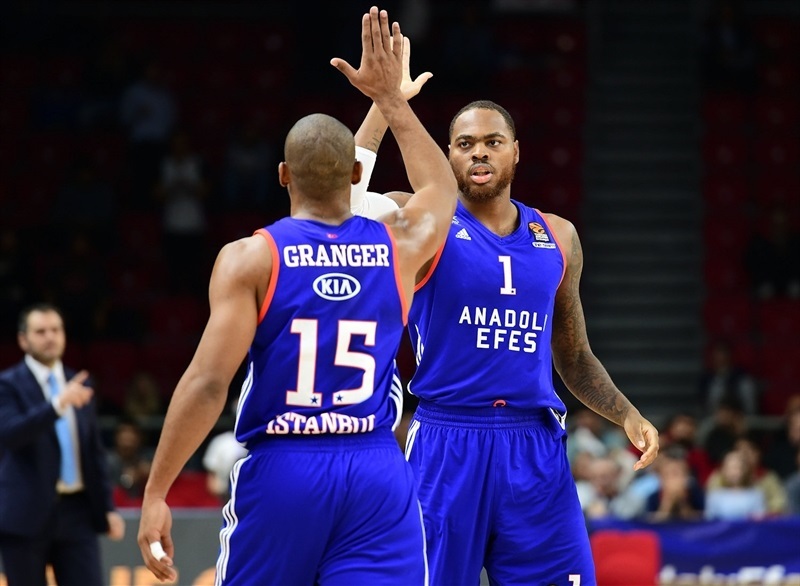 Osman and Thomas joined the three-point shootout and gave Efes a 74-64 cushion after 30 minutes. 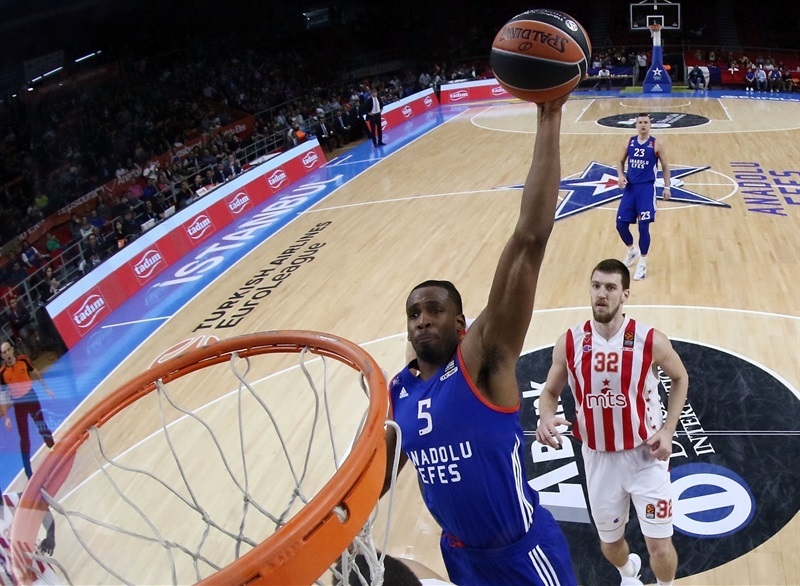 Osman insisted from downtown and Bryant Dunston added a dunk-and-foul for an 80-67 Efes lead. 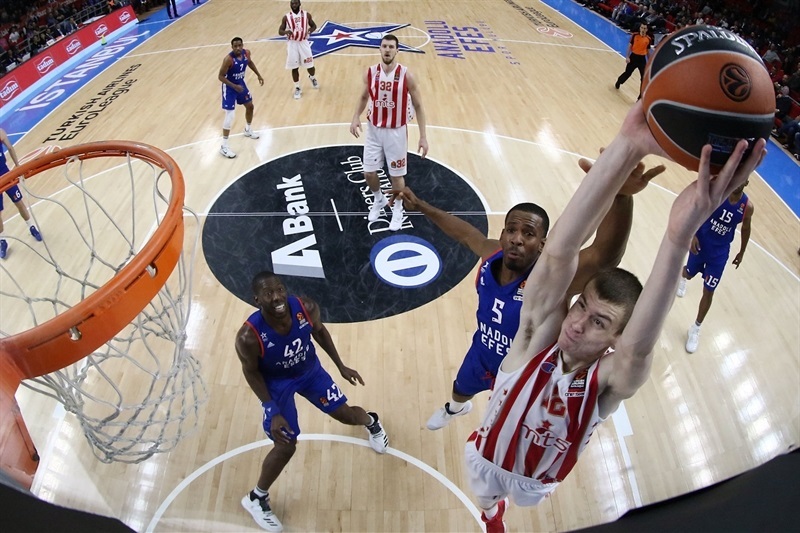 Simonovic had 5 points in a 0-8 run that he capped with a triple to bring Zvezda within 5. Cotton sank another triple, igniting a 14-0 run highlighted by Honeycutt's alley-oop dunk-and-one. 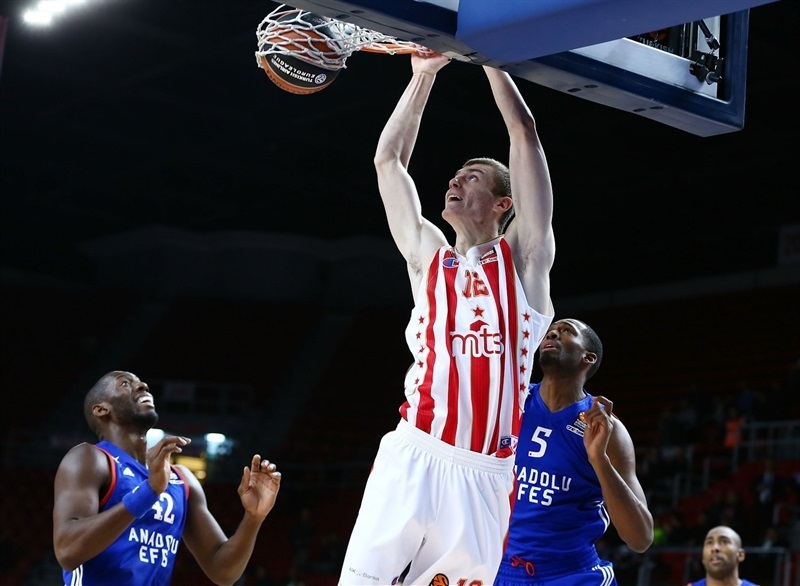 Heurtel capped it with a stop-and-pop three-pointer that sealed the outcome, 94-75, as Zvezda could not recover. 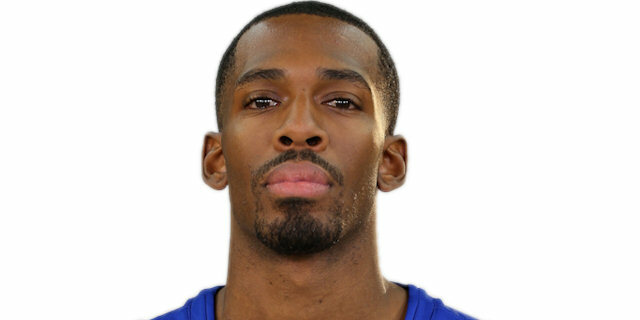 "They kept playing well on offense in the second half but we had very good helps. They broke us but had good helps, collapsed their zone and that was the key. After some blocked shots, we broke the game. We played the way we are; we played fast and tried to be aggressive, but sometimes we are not okay. Every game is difficult in the EuroLeague and Zvezda already got four wins, some of them on the road. Every victory is important." 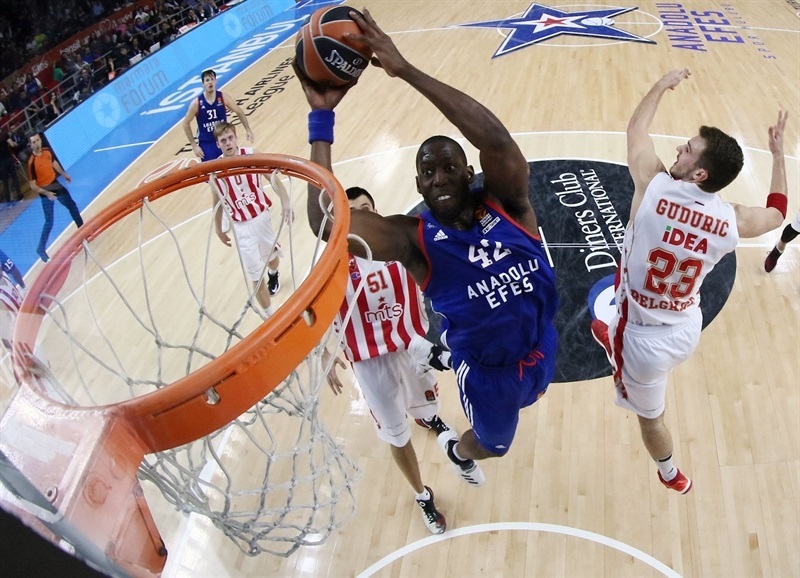 "Congratulations to Efes for the win. We were very bad defensively, all game. We had a lot of problems in transition defense and also with offensive rebounds. They had a lot of them and it was a good win for them. Congratulations again. They played very, very well tonight." "We just wanted to come out and get a home win. Every game in EuroLeague is very important, so we have to take care of our home to reach our goal, which is advancing to the playoffs. We have to be aggressive on defense. If we are not aggressive on defense, we are not good, to be honest. We just have to do that and play our pace. Crvena Zvezda is a very good team, especially in the halfcourt. We had to play a little faster and got a victory." 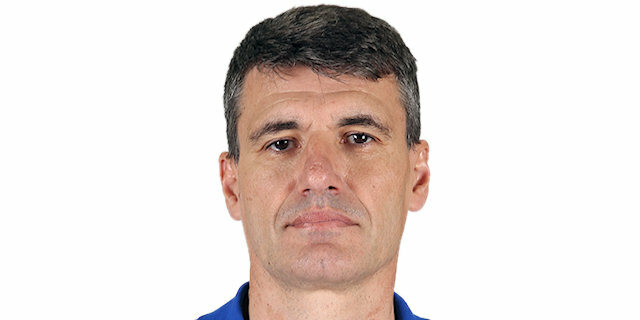 "First of all, I want to congratulate Crvena Zvezda because they played well and hustled. It was a very important game for us; we had lost our previous game against Fenerbahce and this win is very important for us."